We all love zombies. Zombies are cool. But have we gone into overload with the zombie movies and television shows? In this series, Drew Barrymore plays a mom who, out of nowhere, no longer has a heartbeat and develops a craving for raw meat that eventually turns into a craving for human flesh (and also a heightened libido, for some reason). Her husband and daughter accept that she must be a zombie, without explanation, and they will not let anyone break the family up. That’s what I got from the first two episodes, and that’s where I stopped watching. From what I’ve heard, I wasn’t the only one to do just that. Other than the ridiculous plot, the biggest point I want to make is about satire. I imagine many of the readers of this site are fans of Archer, and Sterling Archer himself has a quote that I think is apt here. During their Smoky and the Bandit car chase, he and Pam are arguing about different forms of humor, and when she asks what the hell satire is, Archer shouts, “Nobody really knows!” I’ve often thought this was true, but I didn’t know it was true until I watched Santa Clarita Diet. I personally always saw satire as a form of making fun of something in a very intelligent way. South Park does this in a way that the results are hilarious and, more than not, just plain brilliant. The show’s use of Mr.Garrison to make fun of Donald Trump, for example, is nothing short of fantastic. 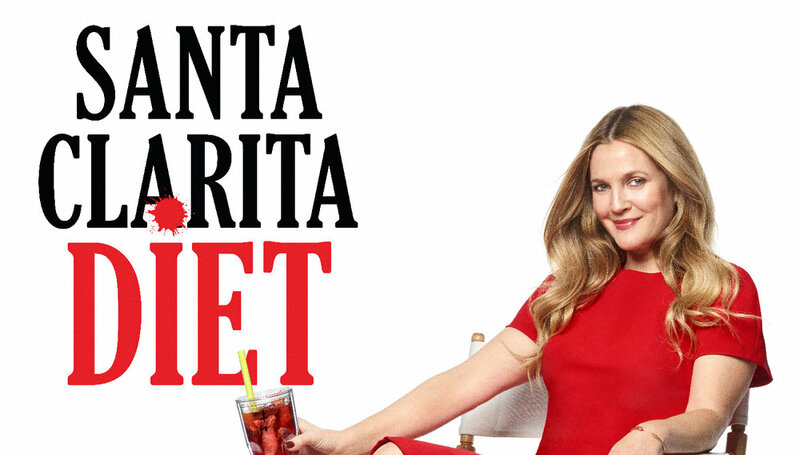 Santa Clarita Diet, on the other hand, fails at being satirical because it is neither smart nor funny. I’m sorry if I sound harsh, but when you have two guidelines and you meet neither . . . well, frankly, if it were a test, the show would earn an F.
Satire aside, Santa Clarita Diet (or what I was able to get through, anyway) has some bad writing as well as over-the-top acting—which really bothered me considering what a great actor Timothy Olyphant is and how I always considered Drew Barrymore to be an A-lister! To see them both essentially lower themselves and hinder their talents for such a disappointing project just bums one out. The show also includes so many nonsensical plot aspects that require a lot of faith from the audience, and I ran out of faith very quickly. Sorry, folks—it’s a stinker. I suppose you have to stick with The Walking Dead and iZombie. But hey, Netflix has plenty more things to choose from to watch. Silver linings, right?